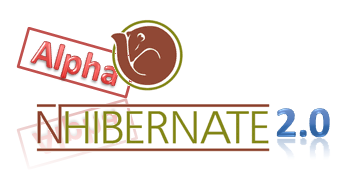 NHibernate 2.0 Alpha is out! It gives me great pleasure to announce that NHiberante 2.0 Alpha 1 was released last night and can be downloaded from this location. You can see the unofficial change list below. Please note that there are breaking changes in the move to NHibernate 2.0. There are also significant improvement in many fields, as you will see in a moment. We are particularly interested in hearing about compatibility issues, performance issues and "why doesn't this drat work?" issues. We offer support for moving to NHibernate 2.0 Alpha on the NHibernate mailing list at: nhusers@googlegroups.com (http://groups.google.com/group/nhusers). Added support for paging in sub queries. Will perform validation on all named queries at initialization time, and throw if any is not valid. SaveOrUpdateCopy return a new instance of the entity without change the original. Changes to IType, IEntityPersister, IVersionType - of interest only to people who did crazy stuff with NHibernate. Fixing bug with HQL queries on map with formula. Multi criteria doesn't support paging on dialects that doesn't support limiting the query size using SQL. Fixed Null Reference Exception when deleting a <list> that has holes in it. Can now specify that a class is abstract in the mapping. Prefer to use the Restrictions instead of the Expression class for defining Criteria queries. Projections can now pass parameters to the generated SQL statement. Added support for calling Sql Functions (HQL concept) from projections (Criteria). Changed logging to make it clearer that all commands are send to the database in a single batch. Throws a more meaningful exception when calling UniqueResult<T>() with a value type and the query returns null. Major refactoring internally to use generic collections instead of the non generic types. Major refactoring to the configuration and the parsing of hbm files. This is great news. As a slight aside, do you happen to know how much of this new functionality is included in the NHibernate In Action book? Just wandering whether it is still a good book to buy or whether it would be better to hang out for something that covers the version 2 functionality. Why is Restrictions preferred and why we should switch to it ? Is Expression only included for backward compatibility ? Will it be depreciated at some point in the future ? Restrictions is the Hibernate term. Expression is there and still works, but the documentation will refer to Restrictions. Where does LINQ to NHibernate fit into NHibernate 2.0, out of interest? I haven't kept track of whether it's now part of the NHibernate release, or whether it's separate. Any comments on the current state of play and the potential future position? Linq for NHibernate is handled as a separate project at the moment, until we get enough critical mass behind it to roll it into NHibernate. I'm helping out on the "NHibernate in Action" book, and I believe it would be great to see it revised to include some NHibernate 2.0 specific stuff. I'll have a chat with Kuate and Manning and post up what the plan is. Has the documentation been updated to cover the 2.0 features? If so, a direct link would be helpful. I was wondering where Castle.ActiveRecord is in terms of support for this release. Can anyone give me the lowdown? 1) Given all of these updates, how does NHibernate compare feature-wise to the latest version of Hibernate? 2) I seem to recall there was talk of a rewrite of the HQL parser. Did this happen? If I am not mistaken, there are some limitations of the current parser that were fixed in Hibernate. 1/ Fairly well, I would say. We have some features they don't have, and vice versa. You would have to be more specific about things. Does NHibernate.Linq support MultiQuery? I'm guessing no, as I don't really see how to make that happen in my repositories without a direct dependency on NHIbernate, but I figured I'd ask anyway. You better ask in the mailing list. I think you should keep your WCF interface contracts (XSDs, WSDLs, DataContract's and all that stuff) separated from your persistent domain (your POCOs). The WCF interface contract could be considered in fact a public application-level protocol, that shouldn't be affected by your internal domain. Trying to pretend that the network does not exist and that you can treat the data coming from the network as if it was coming from another layer in your application is a common error that makes people expose horrible application-level network protocols (WCF contracts, WSDLs and that) that change often and show too much internal details to the world. how about the integration of the minlib framework? is it in this release? 1) Does the NHibernate Query Generator work with NHibernate 2? 2) Can you use NHG interchangably with DetachedCriteria (and Criteria)? 3) Will Linq to NHibernate supercede both NHG and DetachedCriteria/Criteria? clarifying question 3: I assume NHG & Linq both wrap/adapt Criteria. I mean will Linq 2 NH 'cover all bases' allow a dev to query without using Criteria (and HQL for that matter). Thanks for your wonderful work on NHibernate. I've just been introduced to it a few weeks ago through a work colleague who was discussing domain driven design, and I'm very impressed with what I've already seen. To me it looks like you can just annotate the domain model within the class (or even the interface!) with the constraints, e.g. min & max text length, min & max numeric value, not null, regular expression patterns, and others. It then allows validation by listening on Hibernate's PreInsertEvent and PreUpdateEvent, and also provides ability for application level validation, and presentation layer validation. I was very excited when I found that NHibernate includes a "Child project"called NHibernate.Validator however I can't figure out how to annotate my domain model. I've looked through the NHibernate download (I'm running a C# project with .NET 2.0). I even tried looking through the "2.0.0.Alpha1-src" but couldn't figure it out. How do I annotate my properties with the Hibernate equivalent of @Length, @Max, @Min, etc? If it's available, that would be great because it would provide a single point to annotate data constraints, then allow the web interface to display and trap data validation errors, and do a final check with NHibernate before the insert or update. Thanks for your time and thanks again for all your great work! There is no mention anywhere on the timescales for the 2.0 release. Can anyone enlighten us further ? Out of interest, who decides this sort of stuff?